Multi-user support coming to future versions of Android? 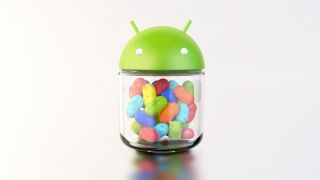 Google may be planning to introduce support for multiple user-accounts on future versions of its Android operating system, judging by code spotted within Jelly Bean. Developers from the XDA community have discovered how to access and activate the incomplete functionality within the Android 4.1 software, which suggests the next version may boast support. The introduction of multiple accounts would allow, for example, each member of the family to have password protected access to personal email, apps, music libraries and more, just like on a PC. While this would likely work for both smarthphone and tablet Android devices, it'd be more useful on slates, which are more commonly shared with the household, rather then phones. The detailed video below, from XDA member 'zanderman112' shows how the functionality can be switched on through the Android OS, which presents the opportunity for users to log-in as 'Primary' and 'Guest' users. However, it's not that much use at present and not recommended. The video is simply evidence that it exists, rather than advice on how to do it yourself.